Neuron (journal) – Mice given extra doses of a new magnesium compound had better working memory, long-term memory and greater learning ability. 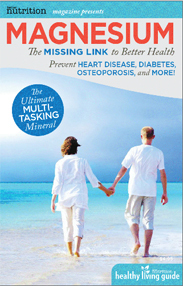 Before you go popping heavy doses of magnesium, however, know that much more testing is needed. Though rodent brains work similarly to ours, animal studies do not always predict what will happen in humans. “If MgT is shown to be safe and effective in humans, these results may have a significant impact on public health,” said Guosong Liu, director of the Center for Learning and Memory at Tsinghua University in Beijing, China. Magnesium is an essential element found in some fruits, spinach, and other dark leafy greens. It is known to be important for the immune system. Consume less than 400 milligrams a day and you may be at greater risk for allergies, asthma and heart disease. The element was shown brain-boosting abilities in earlier studies using cultured brain cells. But the new compound — magnesium-L-threonate (MgT) — was tested in animals and found to be effective. “We found that elevation of brain magnesium led to significant enhancement of spatial and associative memory in both young and aged rats,” Liu said. In young and aged rats, MgT increased plasticity among synapses, the connections among neurons, and boosted the density of synapses in the hippocampus, a critical brain region for learning and memory. The research is detailed in the Jan. 28 issue of the journal “Neuron”. Funding was provided by the National Institutes of Health, the National Basic Research Program of China and other institutions.